"License to be elegant regardless of the situation"
The Connery will not give you license to kill, but it will give you license to be elegant regardless of the situation. 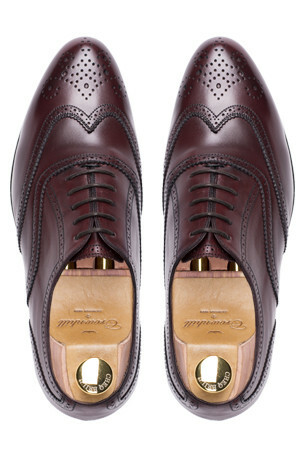 This Oxford Wingtip with Brogue combines perfectly thanks to the shaped puncture wing and the burgundy allowing you to move in the thin line between a formal one more casual look. Handmade in Spain, The Connery is the shoe for the gentlemen who seek sophistication and an air differentiator for your office looks. This model in Burgundy is the ideal shoe to combine with your business looks, but thanks to the brogue, makes these shoes a little bit more formal tan our classic smooth Oxford. The Connery is perfect, thanks to the versatility, to combine with a blazer and a pair of jeans. 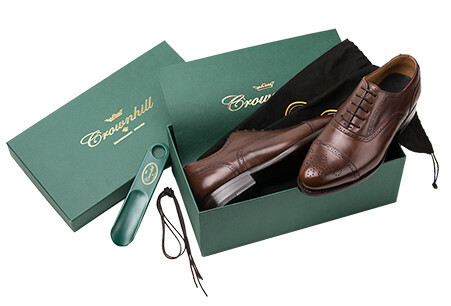 Este es el segundo par de zapatos Crownhill que compro, el primero de la gama Premium. Los zapatos son muy cómodos, a pesar de ser nuevos la piel es muy mórbida y no duelen ni al llevarlos un día entero de trabajo. Zapatos de gran calidad. Excelente servicio, con cambio incluido de zapatos, al necesitar un numero mas.